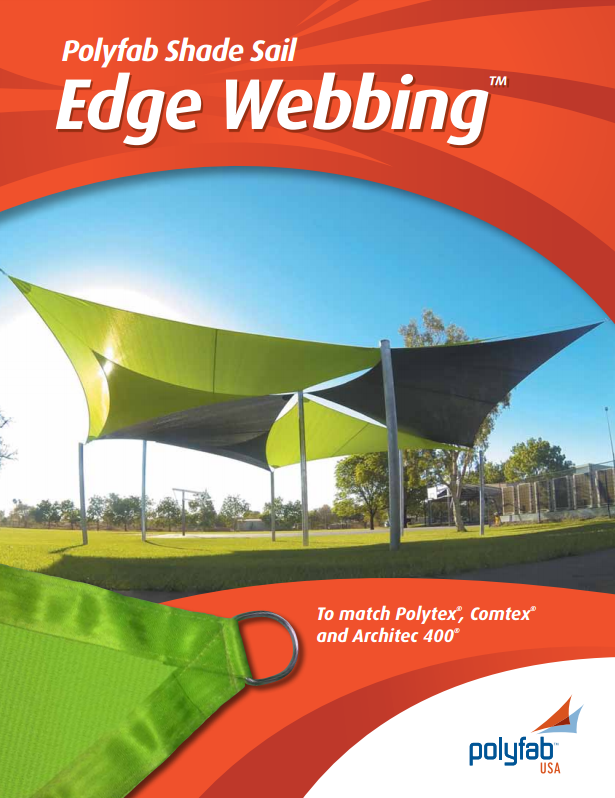 Used for Shade Structures and Shade Sails, Polyfab Shade Sail Edge Webbing™ is the choice of fabricators looking for an “edge” over their competition! 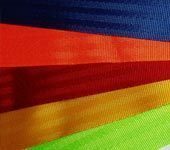 Made in Australia, this polyester webbing is 2″ wide and put up on 109 yard rolls with a breaking strength of approximately 4,500 lbf. Color Disclaimer: For technical reasons connected with color reproduction, the colors shown may not be an exact representation of the actual product. 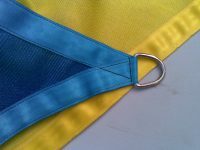 POLYFAB SHADE SAIL EDGE WEBBINGTM (“webbing”) is designed for use on HDPE knitted shadecloth supplied by Polyfab USA LLC (or equivalent quality fabric) for use in tension shade structures such as hip and ridge and tension membrane shade sails. 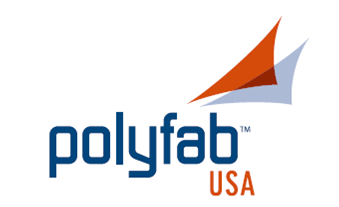 Polyfab USA LLC (“Polyfab”) warrants to the initial purchaser that if the webbing fails, Polyfab will replace the webbing. Failure shall mean that the webbing has failed to perform during the actual application intended for such webbing by the manufacturer. A determination of such failure shall be made solely by Polyfab USA LLC. POLYFAB UNDERTAKES NO RESPONSIBILITY FOR THE QUALITY OF THE WEBBING EXCEPT AS OTHERWISE PROVIDED HEREIN. THERE IS NO IMPLIED WARRANTY THAT THE WEBBING SHALL BE MERCHANTABLE. POLYFAB ASSUMES NO RESPONSIBILITY THAT THE WEBBING WILL BE FIT FOR ANY PARTICULAR PURPOSE FOR WHICH YOU MAY BE BUYING THE WEBBING, EXCEPT AS OTHERWISE PROVIDED HEREIN. THERE IS NO IMPLIED WARRANTY THAT THE WEBBING SHALL BE FIT FOR ANY PARTICULAR PURPOSE. 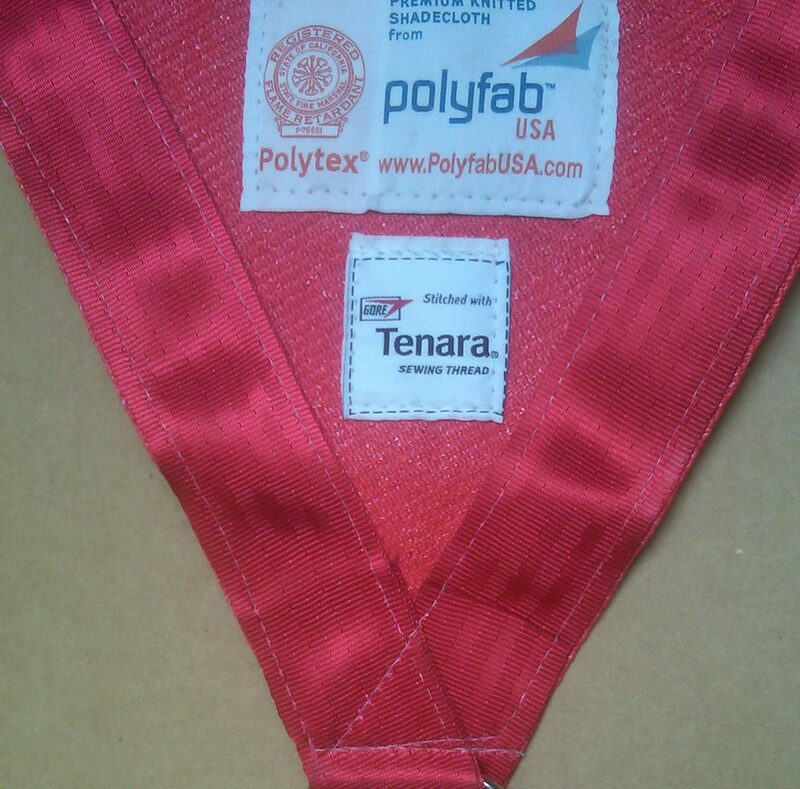 YOU ACKNOWLEDGE THAT YOU ARE NOT RELYING ON POLYFAB’S SKILL OR JUDGMENT TO SELECT OR FURNISH THE WEBBING SUITABLE FOR ANY PARTICULAR PURPOSE AND THAT THERE IS NO WARRANTY WHICH EXTENDS BEYOND THAT PROVIDED HEREIN. 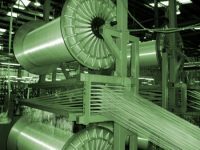 Exposure to pollution, chemicals, solvents, cleaning agents or other substances that are harmful to the performance of the webbing. Faulty installation of the webbing or faulty design or manufacture of any structure to which the webbing is attached. Improper storing, handling, bracing, use of the webbing or use contrary to the specifications for the webbing. Misuse, neglect or abuse of the webbing. If any doubt of the compatibility of the webbing and the material it’s being sewn onto, sandwich a piece of the webbing between 2 layers of the fabric to be used and clamp this under pressure overnight. The finished structure needs to be properly engineered by a professional engineer and installed by a licensed contractor in accordance with local building codes. It is the responsibility of the fabricator within these parameters (and the breaking strength of the webbing) to determine the proper use of this edge webbing. Polyfab’s obligations and liabilities are expressly and exclusively limited to those set forth herein. POLYFAB SHALL NOT BE LIABLE FOR DIRECT, INDIRECT, INCIDENTAL, CONSEQUENTIAL, OR SPECIAL DAMAGES, INCLUDING LOSS OF PROFITS, OR OTHER COMMERCIAL LOSS, AND INCLUDING CLAIMS BASED ON NEGLIGENCE OR STRICT LIABILITY, EXCEPT AS OTHERWISE PROVIDED FOR HEREIN. NOTWITHSTANDING THE FOREGOING, ANY LIABILITY RELATED TO THE WEBBING SHALL BE LIMITED TO THE PURCHASE PRICE OF THE WEBBING. All claims must be made in writing, within 30 days from the date upon which the defect became known, to Polyfab USA LLC, 1601 N. Sepulveda Blvd. #392, Manhattan Beach, CA 90266. Claims must be supported by a sample of the defective webbing together with proof purchase, including the date and location of webbing purchase.